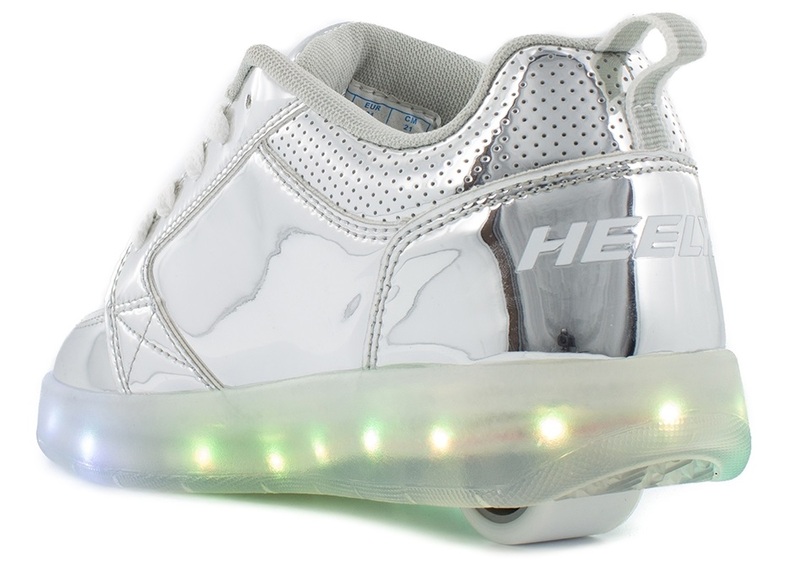 The guys over at Heelys are ready with their first full-blown LED light-up model. Coming in with a translucent outsole that has incorporated LED-lights that run around the outline, creating a stunning glow around the shoe. Activate the LED lights by simply pressing the power button on the tongue. This will also allow you to cycle through the 12 different sequences. Once activated, the sequence will run for 4 minutes, whereafter it automatically turns off the lights. These Premium 1 Lo shoes are made from a synthetic material on the upper and with padding in both tongue and collar for enhanced protection and wearing comfort. The model features the classic 1-wheeled construction and comes with nice and fast ABEC5 bearings. When the lights start to turn dim - Time for a recharge. 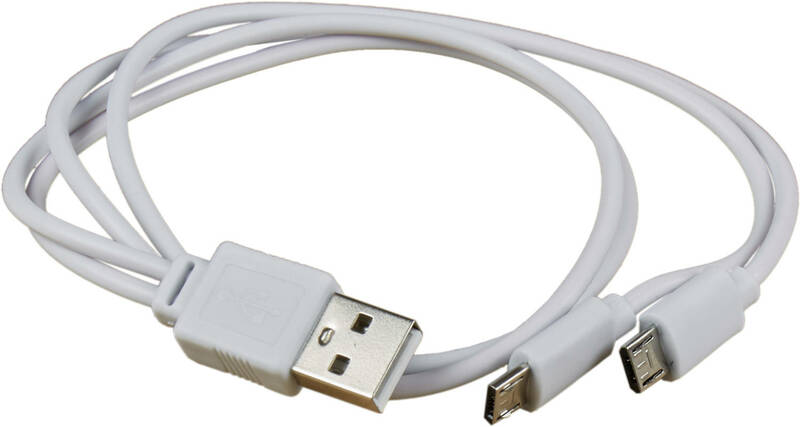 Charge with the USB -> Micro USB included. Fully charged in approximately 3 hours. Charging port is hidden beneath the hidden flap on the tongue. Bought these for my daughter and she absolutely loves them! The colours are so bright and a good sequence easy to charge up and turn on! Fab company- cheaper than everywhere else and shipped quickly and goods carefully packaged! Thank you very much! Product is exactly as described and fast delivery before Christmas, daughter loves them. Thanks. 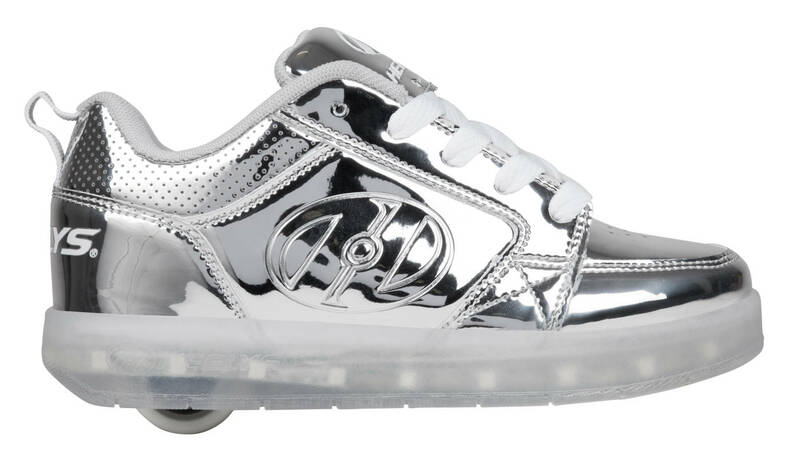 I was delighted with the Heeleys Premium 1 Lo Silver Shoes with wheels that I purchased for my granddaughter. She has had tremendous fun with them and we have loved watching her when wearing them in the dark as they glow beautifully. I have been extremely impressed with the overall efficiency of this company and have no hesitation in recommending them. Exactly as expected, my 8 year old daughter absolutely loves them & they look really impressive. Fast, efficient service & a great product. Fantastic heelys. 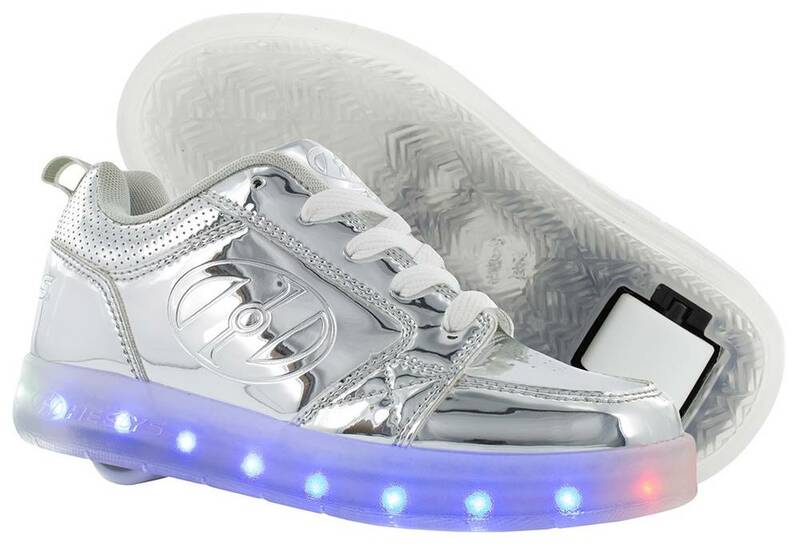 My daughter loved them, they are very shiny and the lights are incredibly bright. Great service and prompt delivery too. Heelys arrived in good time. Pleased with the product and service. I ordered the size up as I read that you need to win padded Heelys-this was correct as my daughter definitely needed the size up. Bought for my Granddaughter for Christmas she was over the moon with them. Loves how they light up. 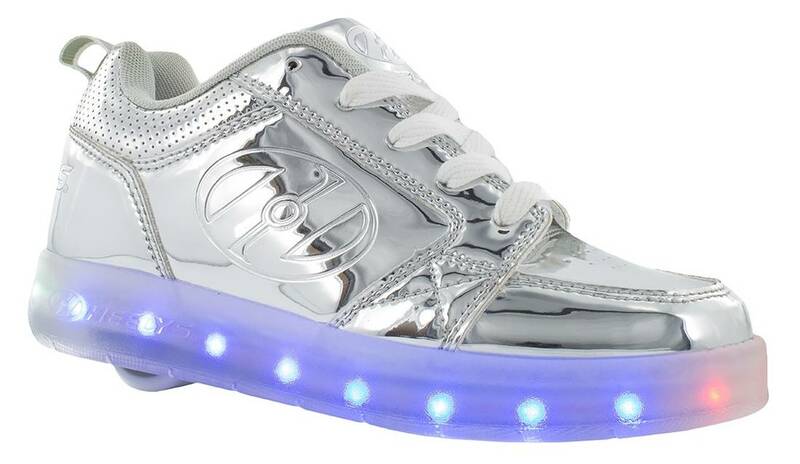 got them for my 10year old this Christmas she loved them well worth the money not only the shoes light up so did her face .score out of ten 10.